It really doesn’t take much to get me craving something. A couple weeks ago, a co-worker was in Lansing and came back with Jersey Giant. 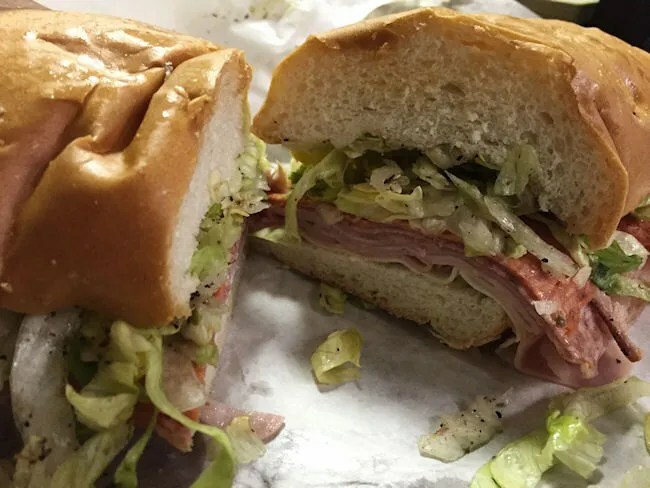 That got me thinking, “Damn….I want Jersey Giant.” It took me a few tries, but it didn’t take long before I was walking in to work myself with a giant sub and making people jealous. I end up in downtown Kalamazoo a lot before I actually head to Grand Rapids for work. Early last week, I had a quick task at City Hall before my drive north. I left the house a little early because I decided that day was the day I was going to stop at Jersey Giant. I chose the one closest to downtown on Portage Street near Washington Avenue. This is the newest of the Kalamazoo locations and probably the nicest JGS I’ve been in. The business is in a remodeled building owned by Urban Alliance, Inc which also owns the restaurant. At the time of it’s opening, it was the only JGS not owned by a member of the Slocum family (it may still be…I’m not sure..I’m just citing an old Kalamazoo Gazette article.) The building is part of a transformation of the Washington Square area in the Edison Neighborhood. The space that JGS is in used to be an adult bookstore. I’ve actually tried three or four times to stop in this location for a sandwich, but it’s always at the end of the night. The hours on the door say they close at 8:00, but I’ve stopped in three different times between 6:30 and 8:00 to find the doors locked. This time, it was a little before 2:00 so there was no doubt that I was going to find the joint open. The restaurant is set up like all the others. There’s a order area where you watch the employee slice all of the meats and cheeses for the sandwich then a small add-ons area where the sandwiches are customized. 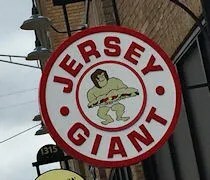 They don’t have as many options as a more famous bigger chain, but that’s not necessary for Jersey Giant. I kind of jump around with my orders at JGS. This time, I ordered The Boss!….which is one of my favorites. I chose the white bread (made in house) and it’s topped with ham, capicola, prostini, salami, pepperoni, and cheese. I typically add on just lettuce and banana peppers in addition to the incredibly delicious Jersey Juice (oil and vinegar) and oregano. The whole sandwich is 16″ long and costs just under $11. I grabbed it to go seeing as how I still had that errand to run and needed to get to Grand Rapids. I am never disappointed with Jersey Giant Subs. Everything about the place is fantastic. The locally sourced, sliced in front of you meats, the fresh baked bread, the delicious combination of the oil and vinegar that is applied so liberally to the sandwich. 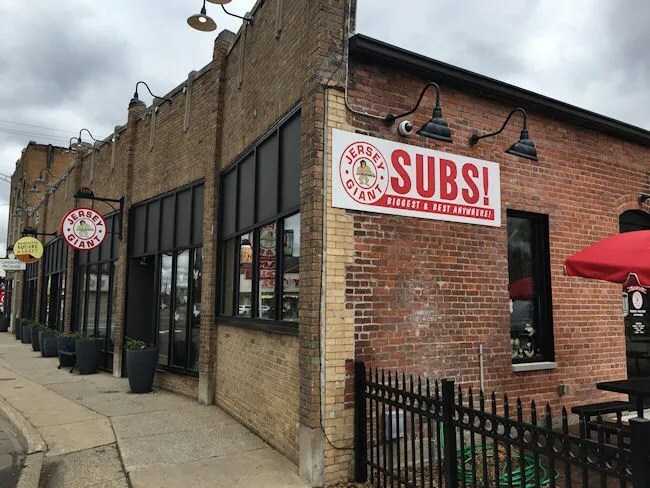 The first time I had a Jersey Giant sub I didn’t quite get it….but the more I go back, the more I crave them and look for any excuse to have a giant sub for lunch.